Do You Need a Litigation Attorney in New Jersey? Not every attorney is a litigator and not every litigator is the same. The really good ones have a certain quality, like a solid knowledge of the rules of evidence, procedures, discovery tactics and the psychology of a jury. They know that detailed preparation and research of the law is essential to a successful result. Litigators must be confident and passionate about their client(s) and their cause. Hanlon Niemann has litigators like that. 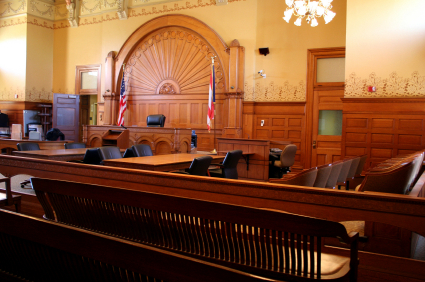 While committed to serving their client’s interest by seeking solutions and settlements that avoid protracted and contentious court proceedings, if faced with an unreasonable and/or confrontational adversary, Hanlon Niemann will not hesitate to try your case to conclusion before a judge and/or jury. Many attorneys and/or law firms only offer transactional services. When faced with the prospect of a lawsuit they’ll quickly bail out and refer their client (you) elsewhere. Not us, we’re with you all the way and we’ll continue to serve you throughout the entire case. We’ve tried to conclusion cases in personal injury like automobile and product liability matters where clients suffer pain, injury and lost income; business disputes, including shareholder, member and partnership suits; franchise claims; probate litigation involving executors, family members and heirs; contract and insurance cases; real estate matters of all types including contracts, leases and partnership agreements; zoning and planning contests, including variances, subdivision and site plan. We have highlighted just some of our significant litigation practice areas. If your case involves actual or potential litigation and you would like to speak to our litigation partners personally, call Christopher Hanlon or Fredrick P. Niemann Toll Free: (855) 376-5291. You may e-mail Mr. Hanlon at chanlon@hnwlaw.com or Mr. Niemann at fniemann@hnlawfirm.com. They are happy to speak to you.